of her weak voice. She had much more success in television. In 1949 and 1950, she appeared in some 60 television programs. 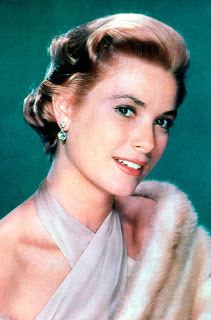 By 1955, Kelly was the most popular female star in American film. That spring, while attending the Cannes Film Festival in France, she met Prince Rainier III during a photo shoot for the French magazine Paris Match. Hailing from one of Europe’s oldest royal families, Rainier ruled over Monaco, a tiny country smaller than the MGM lot in Los Angeles. The two met again months later at the house of a friend of the Kelly family. Within a week, they announced their engagement. 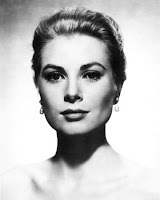 On April 19, 1956, Kelly married Rainier in a televised ceremony and thereafter became known to the world as Princess Grace. Her professional career effectively came to an end. 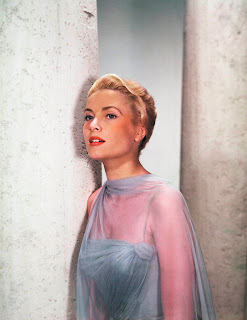 Her final two films, High Society and The Swan, were both released in 1956. 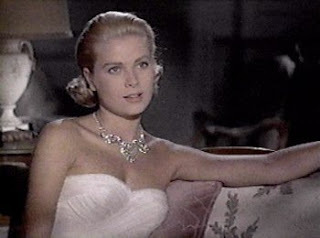 As Princess Grace, Kelly devoted the rest of her life to raising her three children—Caroline, Stephanie, and Albert—and to performing charity work. She earned the affection of the people of Monaco and, through her glamour, helped revive the country’s tourist industry, particularly by making its casinos a favored destination of the rich. Although she was said to be living a fairy tale, she seemed to have missed acting. It is rumored that Hitchcock offered her the lead role in Marnie in 1964, but she hesitantly turned it down because her husband objected. 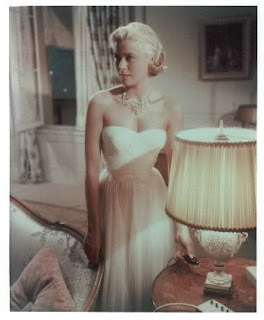 (The role then went to Tippi Hedren, who bore a superficial resemblance to Kelly.) In her final years, Kelly took an apartment in Paris and began spending less and less time at her husband’ s palace. On September 12, 1982, while driving home to Monaco with her daughter Stephanie, Kelly lost control of her car, which plunged off the twisting mountain road. Stephanie was largely unhurt, but Kelly sustained substantial injuries. Two days later, she died without regaining consciousness. Doctors later determined that she had probably suffered a mild stroke just before the crash. 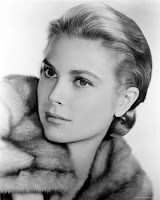 The sudden death of Grace Kelly stunned her fans around the world, who could scarcely believe that such a seemingly charmed life could end so tragically. Bradford, Sarah. 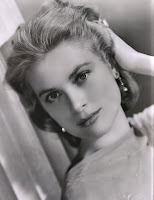 Princess Grace. New York: Stein and Day, 1984. Lacey, Robert. Grace. New York: G. P. Putnam’s Sons, 1994. Spada, James. Grace: The Secret Life of a Princess. Garden City, N.Y.: Doubleday, 1987. The Country Girl (1955). Paramount, VHS, 1998. High Noon (1952). Republic, DVD, 1999. 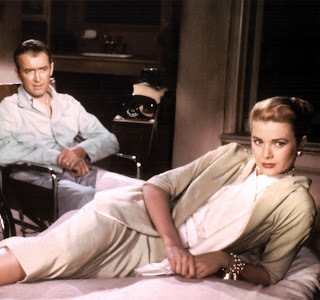 Rear Window: Collector’s Edition (1954). Universal, DVD/VHS, 2001/2000.